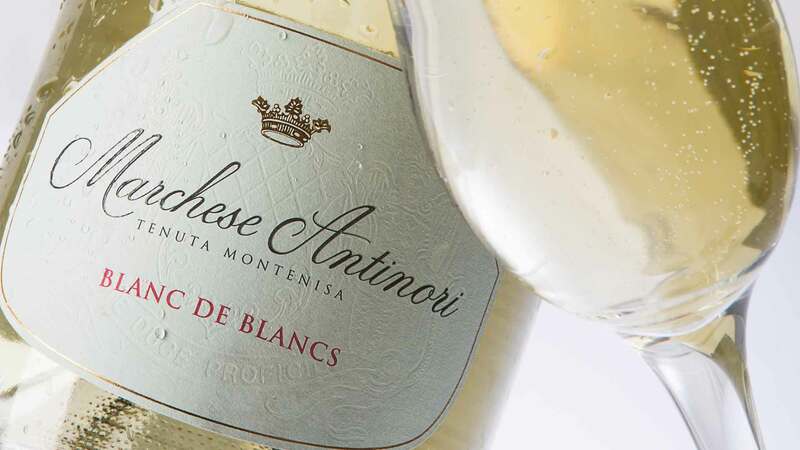 The Montenisa Estate lies in the heart of the Franciacorta region between the southern shore of Lake Iseo and the city of Brescia. 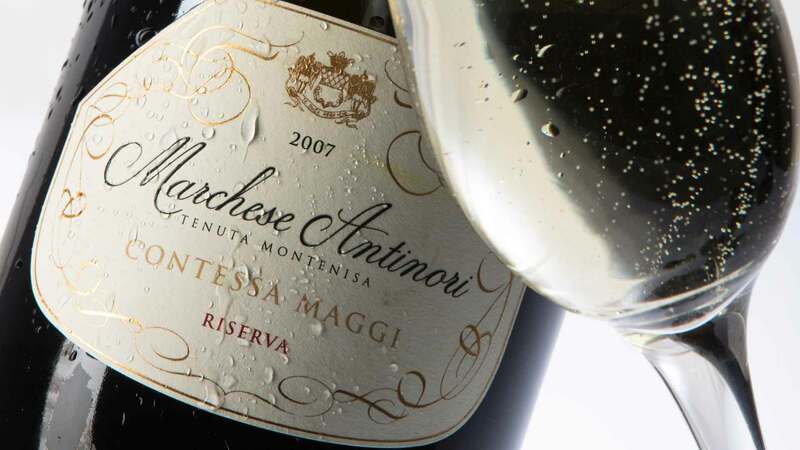 The region is best known for its sparkling wine and it was here where the Marchesi Antinori and Conti Maggi families united in 1999 with the aim of producing the perfect expression of the Franciacorta sparkling wine. 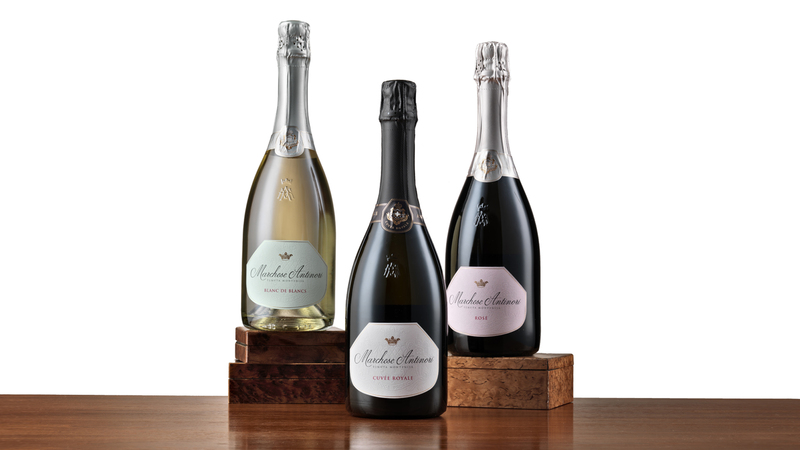 The launch of three classic and three top end sparkling wines went hand in hand with a complete overhaul of the product presentation, starting with a revised logo and extending to the bottles, labels as well as the packaging. 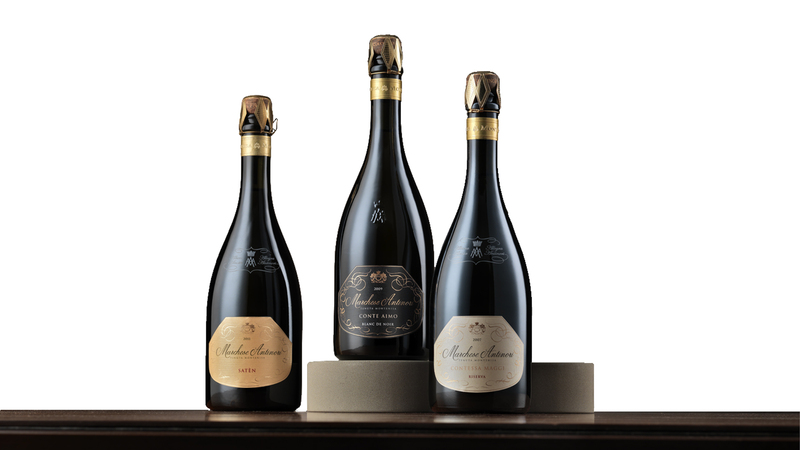 Whilst the three classic sparkling wines sport the Marchese Antinori name together with the family crest subtly embossed in the background of the label, the three flagship products are named after illustrious family members with an opulent label design that befits their noble standing.